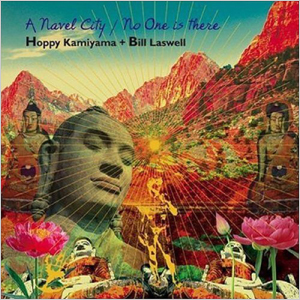 The music is a liquid blend of jazz, electronics, dub, and improv, with percussionist Kiyohiko Semba providing a sturdy rhythmic undercurrent to the seamless fusion of Laswell's deep, throbbing bass and Kamiyama's elusive streams of synth melodies and drones. On "Sospirando", Semba lays down a frenetic, shifty groove that evades classification just as readily as it snakes around the music's deep-bass mystery. Kamiyama floats gorgeous shimmering melodies that fade in and out of the background, and synth squiggles periodically accent the rhythm. The whole thing has a sense of presence, a weighty feel that's enhanced by Laswell's impenetrable bass, with the production hanging over everything like a dark storm cloud, pregnant with rain.